Sad news for fans of the Star Trek character Uhura. On Thursday, it was reported that actress Nichelle Nichols suffered a mild stroke on Wednesday and was rushed to the hospital. Nichols rep Zach McGinnis confirmed the news via the actress' Facebook page, saying, "Last night while at her home in LA, Nichelle Nichols suffered from a mild stroke. She is currently undergoing testing to determine how severe the stroke was. Please keep her in your thoughts." McGinnis continues to update fans through Facebook. On Thursday, he revealed that Nichols underwent a CAT scan and an MRI. Per McGinnis, "The CAT scan came back negative and we are awaiting the results from the MRI. Currently she is awake, eating, in good spirits, and able to have full conversations. Her right side has shown minor signs or mobility loss but she is not showing any signs of paralyses. We greatly appreciate all of the love and support her fans are showing at this time." During her time on Star Trek, Nichols made history by doing something that was rare on television at the time: starring as a black actress in a well-known role on a primetime series. 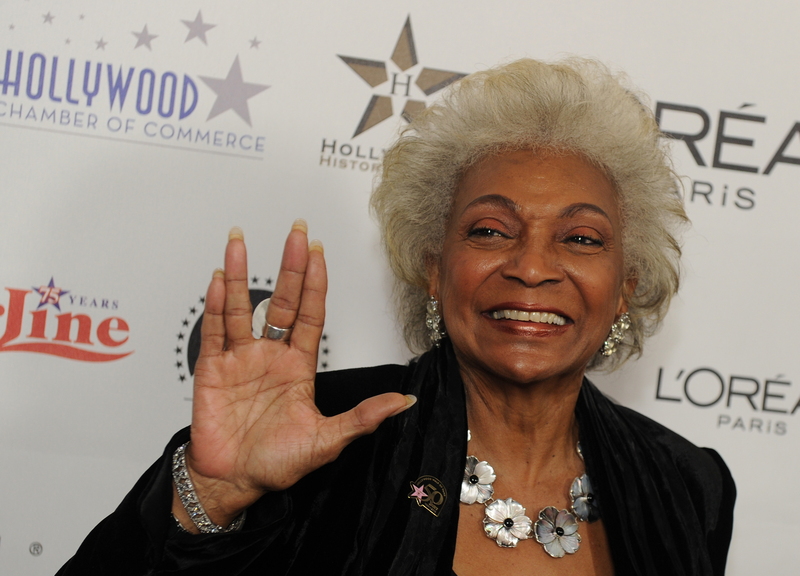 She was considered an "integral part of the multicultural Star Trek crew," according to CNN, so much so that Martin Luther King Jr. called her role "the first nonstereotypical role portrayed by a black woman in television history."